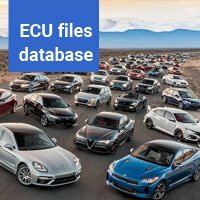 Database of original ECU files consist of about 9500 files. 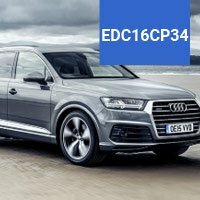 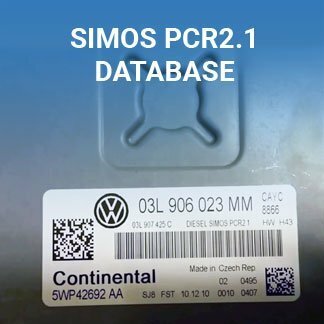 There are a lot of manufacturers: Audi, BMW, Citroen, Ford, Mercedes Benz, Nissan, Renault, VW and many others. 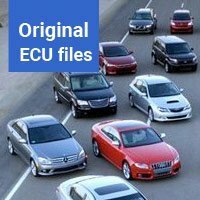 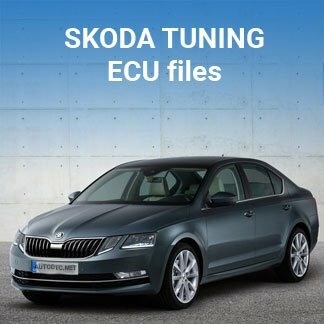 Full list of files you can download file here – List of original ECU files (xls file format). 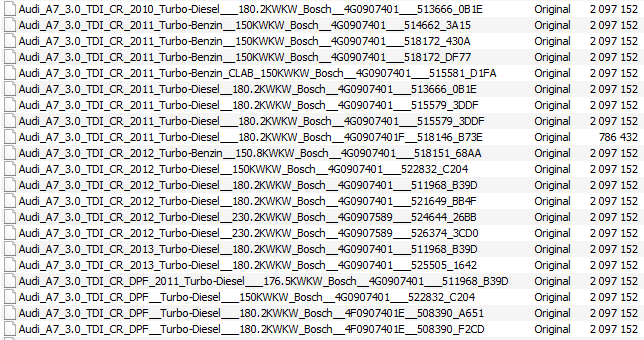 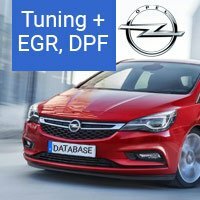 Almost all original ECU files have names: “Manufacturer” + “Model” + “Engine type/ Fuel type” + “Year” + “ECU” + “Hardware” + “Customer type” + “Software” + “Check sum” + “Power, kWt”.